We want to help you save as much money as you can while you're shopping with us at Food City. Your ValuCard--combined with our Weekly Ads, Digital/Print Coupons and Savings Clubs--helps to make your money go further! 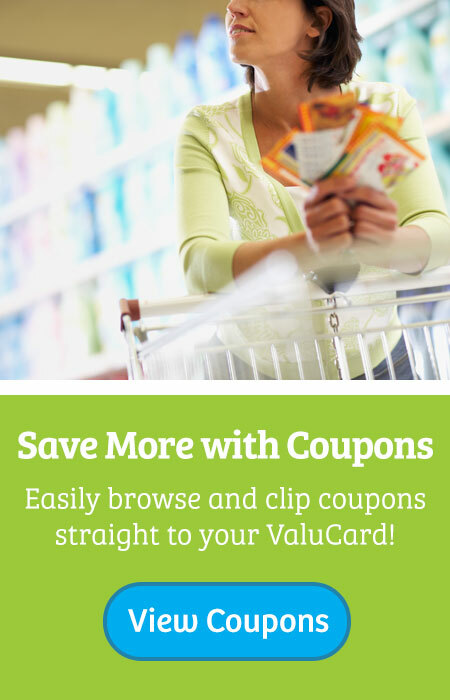 Save more by loading coupons directly to your ValuCard—no clipping required! Search through our print and digital coupons—save even more on your grocery list! We tailor your savings by offering Food City Savings Clubs that fit your family perfectly!